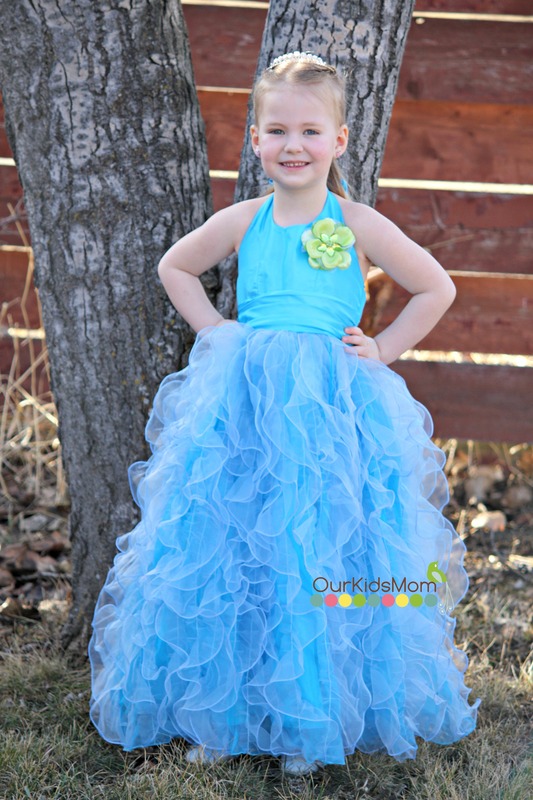 Do you have a little princess in your family and need a gorgeous dress for a special occasion? 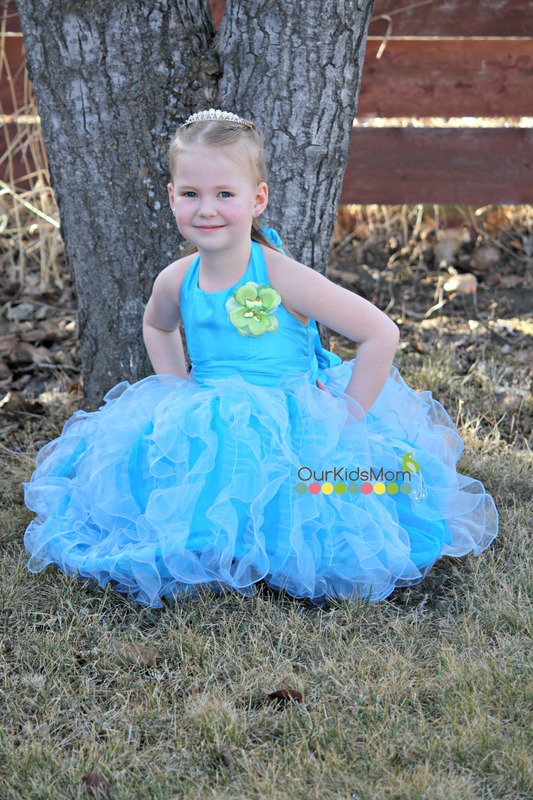 NooriDresses.com has a very large selection of stunning dresses of all colors and styles from newborn up to size 18. I have a daughter who loves to dress up like a princess any chance she can get. It was so much fun spending time on Nooridresses.com with her as she oood and awwd over the endless selection of dresses. 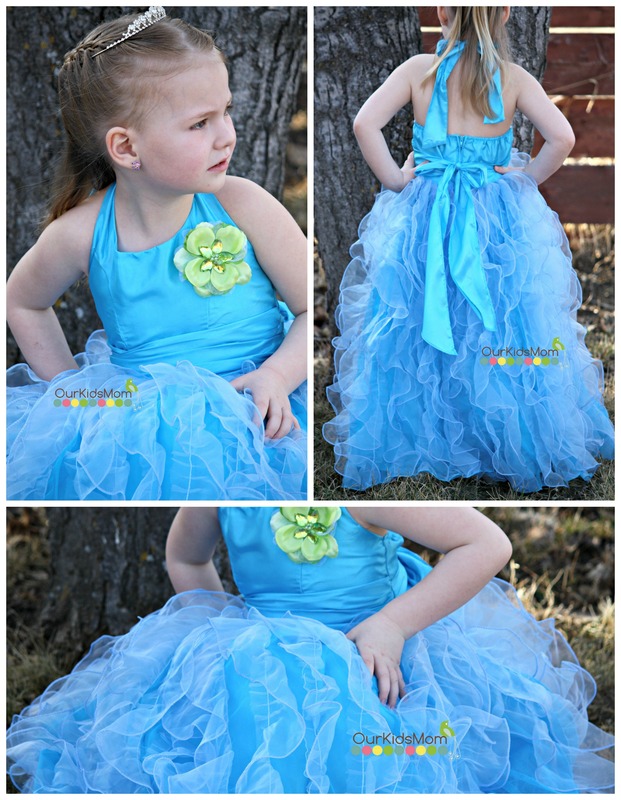 She finally had it narrowed down to the Dazzling Flowers Ruffled Dress in Turquoise. 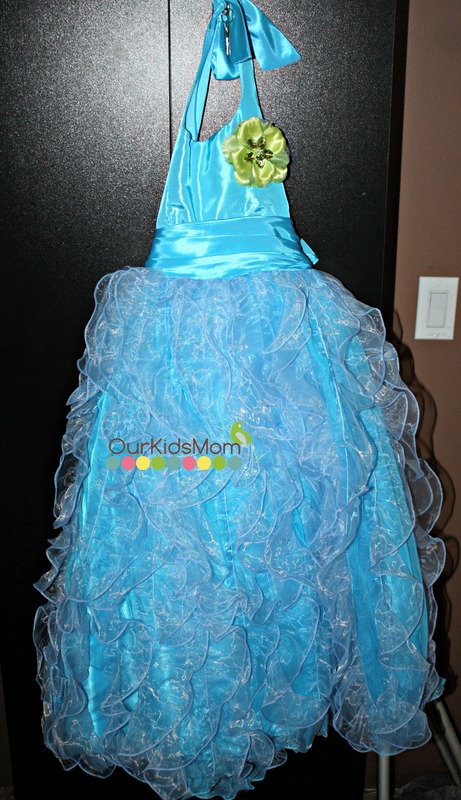 She said it looked so beautiful just like Princess Elsa’s dress. She was so excited when we picked up the mail and her dress was there. The dress is a very fitting halter top that ties in the back. It comes with 2 flowers, a blue and a green, to accent the shoulder. Both are secured with a safety pin so they are easily removable. I love the little pop of green on the turquoise. The bottom is a full length skirt with ruffles all the way down the length of the skirt. The dress is a little long on McKenna as she usually wears a size 6-7 and I ordered an 8 for her to make sure it wasn’t too small. When she wears this dress she is transformed into a dazzling little princess. She feels beautiful in it and never wants to take it off. If you have a special occasion coming up and need a beautiful dress for a flower girl, first communion, Easter & Spring dress, or just a gorgeous dress for no specific reason… I strongly recommend heading over to www.nooridresses.com and look through the amazing selection. You wont be disappointed and their prices are amazing too. Not only are the dresses stunning … they are affordable. Thank you Noori Dresses for making my daughter feel and look like a real princess. So pretty! 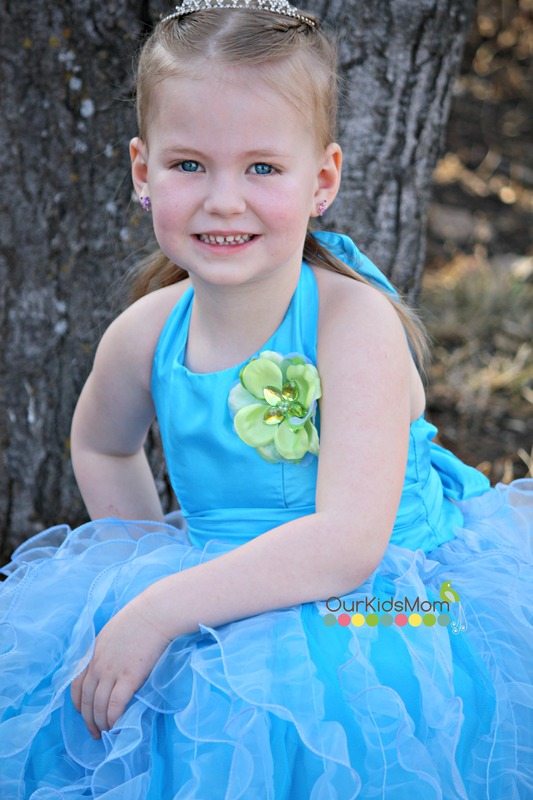 Just overall a beautiful little girl in a fairy tale dress, she looks like a princess! Love the flower detailing, and the site has so many color options. Never heard of this site before either, my niece would love these dresses, especially for her birthday.